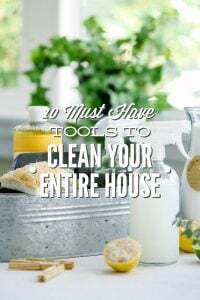 With essential oils being discussed all over the internet, I believe it’s important to share why I personally choose to use essential oils in some of my cleaning recipes. I didn’t say all of my cleaning recipes, just some. While essential oils are wonderful natural ingredients, I don’t believe they should be used in every cleaning product. Essential oils have a purpose, and should be used with this purpose in mind. 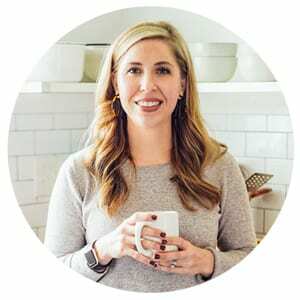 Essential oils are very popular today, but the truth is before the popular oil brands marketed online and bloggers started filling Pinterest with recipes, essential oils were being used by generations before us. Essential oils are usually found at health-focused stores: Whole Foods, aromatherapy/vitamin shops, and local health food stores. I have yet to find a reputable brand of essential oils at a store like Target (just an example), but this could change in the future. For now, I purchase essential oils online (via Amazon from specific brands I trust or company websites), Whole Foods, or local health food stores. Please hear me out: I’m not bringing up this topic to discourage you about finding and purchasing good-quality essential oils; rather my hope is that by addressing this issue you will search for companies you can trust versus being sucked into spending an entire paycheck on essential oils, used to make homemade cleaners, just based on a marketing phrase. 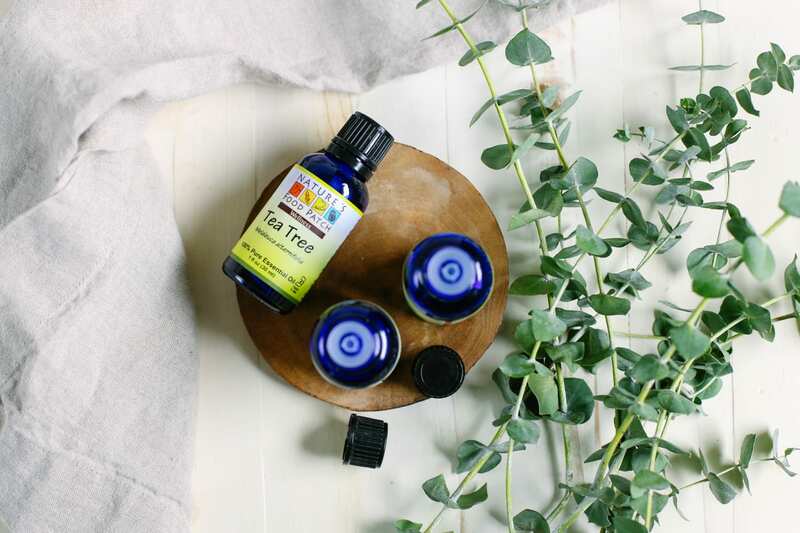 My favorite trustworthy and affordable essential oil brands for cleaning include: Aura Cacia, NOW, and Plant Therapy. All of these brands can be found online. The chart below includes my favorite essential oils for cleaning. 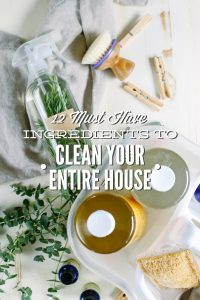 Just because I’ve listed fourteen different essential oils doesn’t mean you need to purchase fourteen different oils for cleaning. I usually keep the following oils on hand for making my cleaning recipes: tea tree, grapefruit (an incredible scent! ), orange, lavender, lemon, and peppermint. 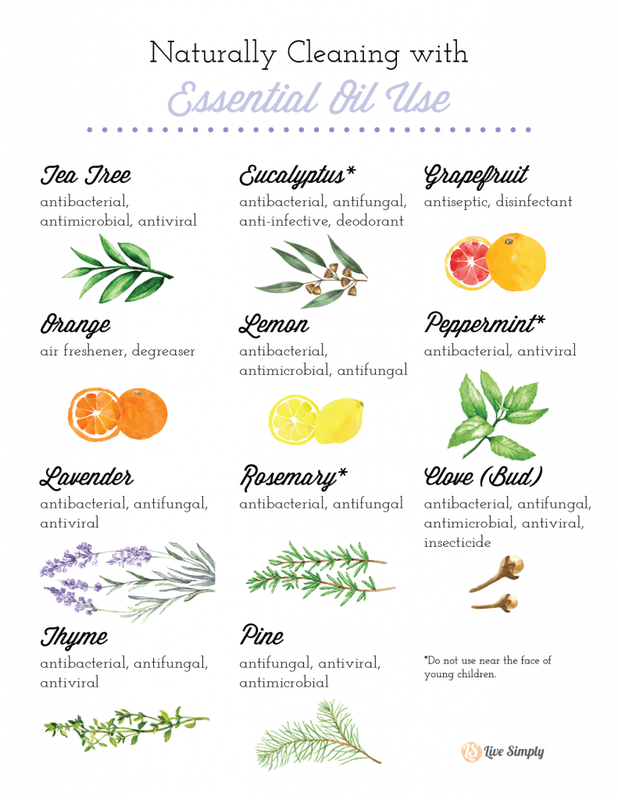 Just because I don’t regularly use the other essential oils included on the chart, doesn’t mean they aren’t worth knowing about or mentioning. 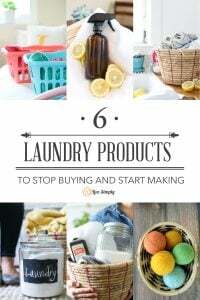 My “usual stash” is based on my personal scent preference (most homemade cleaning products don’t have any scent without an essential oil), my budget, and versatility. Disclaimer: This information hasn’t been evaluated by the Food and Drug Administration. This information is not intended to diagnose, treat, cure, or prevent any disease. Once you’ve built your ingredient toolkit, you can start creating homemade cleaning products. Your toolkit will probably include a few essential oils. The beauty of essential oils is that many oils blend together very well, creating the most pleasant scents in your home. 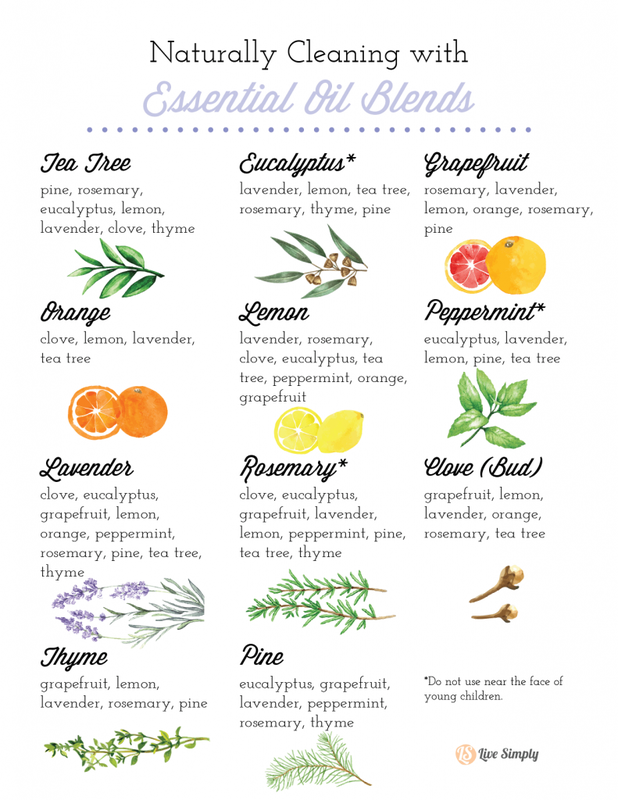 In the chart, below, you’ll find a list of essential oils that blend well together. 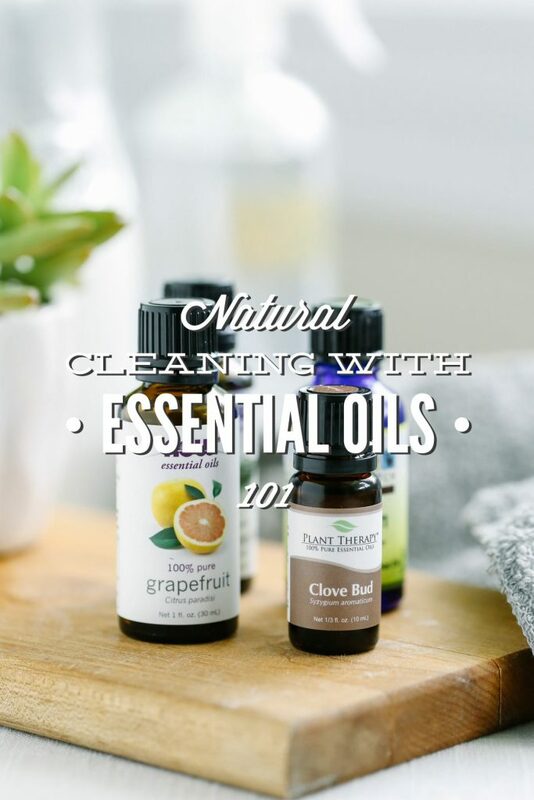 It’s important to remember that essential oils are very potent, so when it comes to blending essential oils into one cleaner, you don’t want to overdo it. You may always add a few extra drops of oil later on. 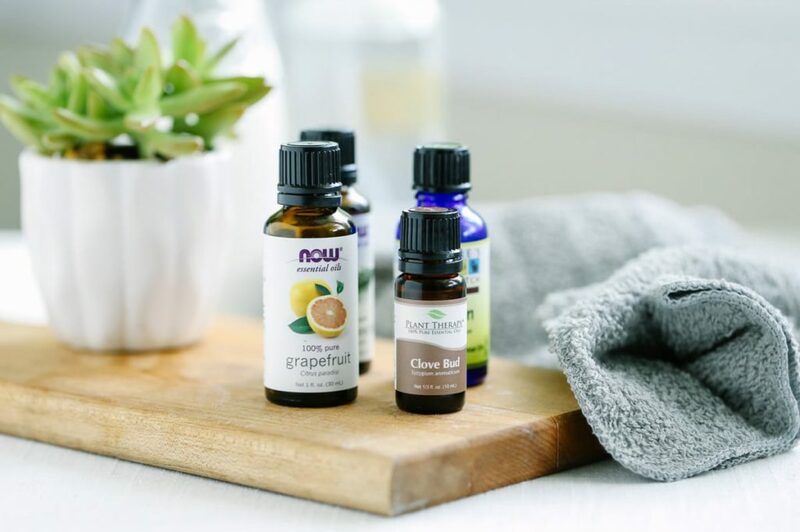 If you’d like to know what a blend will smell like before adding the oils to your favorite cleaner, using test strips is a safe and affordable way to go. 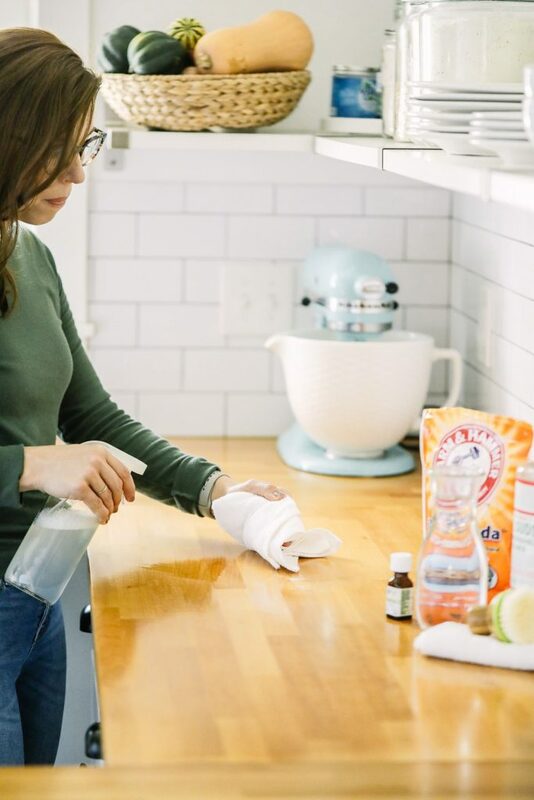 If you’re just getting started with natural cleaning, making an all-purpose surface cleaner is the best place to start. 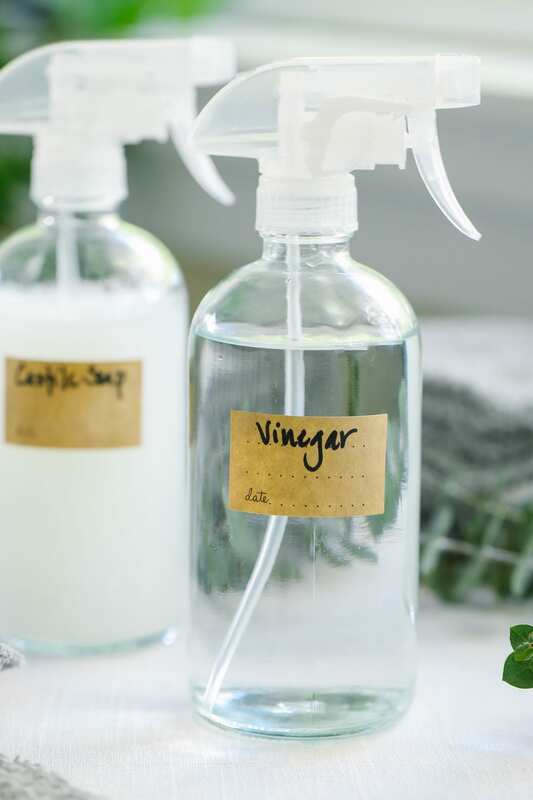 Homemade surface cleaner is super affordable, versatile, and allows you to experiment with your favorite essential oil(s). Okay guys, this recipe is a little sneak peek from both the DIY Natural Cleaning Challenge eBook (coming soon) and an upcoming blogpost. I love you guys :). This toilet bowl scrub can be tossed together (literally, you’re going to toss the ingredients like a salad) in under 60 seconds. 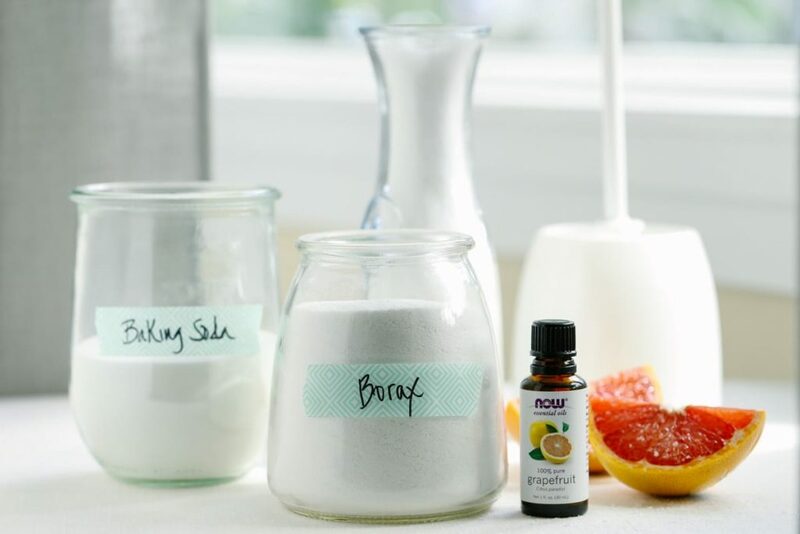 Here’s the recipe: 1/2 cup baking soda, 1/2 cup borax, 1/2 cup kosher or sea salt (the cheap stuff at the store; not mineral-rich, expensive Himalayan salt), and 15 drops of favorite cleaning essential oil (I use grapefruit). Place the ingredients in a jar with a lid, place the lid on the jar, and shake to combine. Now, you’ll either want to use a fancy mason jar drink lid with holes on the top (or one of the glass parmesan cheese containers sold at home stores) to shake a bit of the solution on the sides of the toilet bowl. Let the solution sit in the toilet for 30 minutes, then scrub with a toilet bowl brush and flush. This scrub will clean the toilet. Remove the lid with holes from the jar. Use a solid lid on the jar to store the cleaner for later. Once you’ve cleaned the toilet, it’s time to disinfect with your choice of vinegar OR hydrogen peroxide. Place a spray nozzle on either bottle (you may also pour the liquid of choice instead of spraying), and spray a bit of the vinegar or hydrogen peroxide on the sides of the toilet bowl. Let the solution rest for about 10-15 minutes (or longer, if possible), then flush. 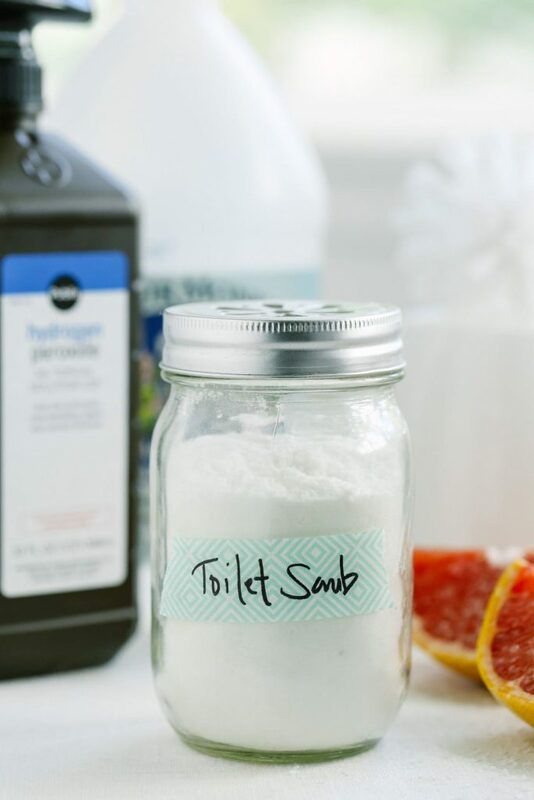 Since you purchased salt (to make the toilet scrub), how about another salt recipe? 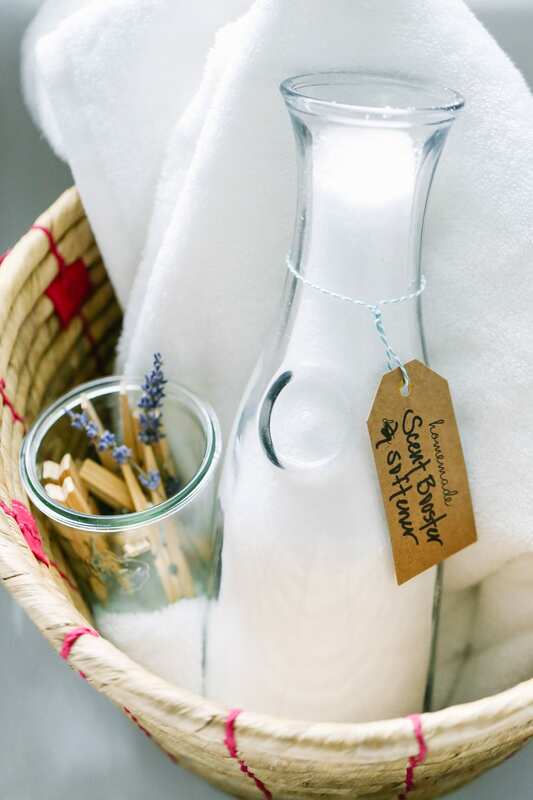 This laundry softener and scent booster is an easy, do-it-yourself recipe that can be used to help freshen clothes and soften hard water. The cleaning essential oil used in the recipe is completely up to you. Helpful Resources: Plant Therapy’s site provides details on all essential oils and which oils blend together. // Essential Oils for Beginners (Althea Press) is a helpful resource for comparing various oils and their uses. // For more information about the safety and usage of essential oils, check out Essential Oils 101: 22 Important Questions and Answers. That’s awesome, Emily! I’ll take a look at our local Target. Canadian Walmart is selling 99% pure organic essential oils in the skin care aisle. This is the best article I’ve ever read on cleaning with EOs! Great information, beautiful photography, and easy to read. Thanks for taking the time to put it together; it is exactly what I need to get my feet wet with blending oils.